It’s clear the Apple Watch is a hit with Apple enthusiasts. Though I don’t have one yet, KGI Securities estimates Apple Inc. sold 2.3 million Apple Watches during the pre-order phase, with most of the early adopter crowd staying up late to be among the first to place online orders at 12:01 a.m. on April 10. Anyone wishing to purchase an Apple Watch this month will have to wait until at least July, because demand remains so high, according to Apple. Millennials—arguably the most influential group of technology consumers—so far are the biggest fans of the Apple Watch. In a survey Horizon Media conducted recently among 3,000 U.S. adults between 18 and 65, millennials showed the most enthusiasm for the product, with 30 percent saying they were interested in owning an Apple Watch, compared with 21 percent of Gen Xers and 14 percent of baby boomers. Not everyone is ready to ditch their Timex—or Rolex—just yet. 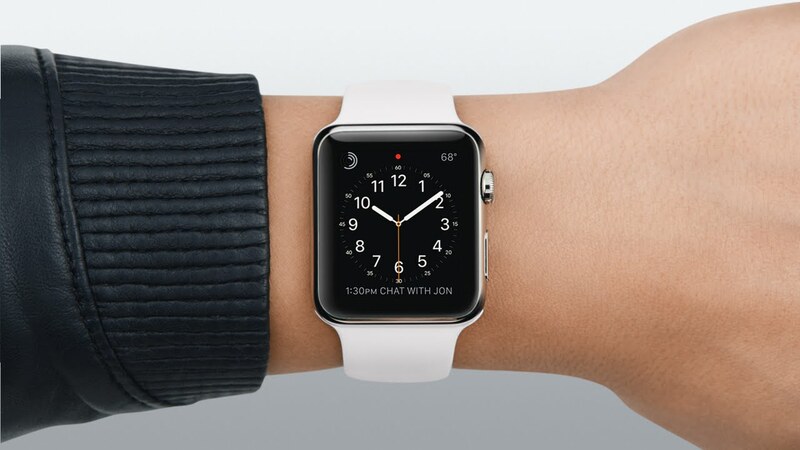 The majority, 62 percent, of all respondents to Horizon’s survey said they aren’t interested in owning an Apple Watch. More than half, 53 percent, said they weren’t interested in adding another connected device to their existing array of electronics. But remember this? When the iPad was introduced five years ago, many consumers—including me—yawned. Initially, I thought it sounded like a superfluous device with a silly name, and within a year I was addicted to the thing, along with the 250 million other iPad buyers. Shopping is more fun using Apple Pay on the Apple Watch. Three of my friends love the Apple Pay feature, which is easier to use on the smartwatch than on the iPhone. After entering the four-digit password, Apple Watch can be used to speedily conduct a series of contactless payments—say, at the various checkout counters within a Whole Foods store—when you’re shopping at rush hour, or dashing to Walgreens. It’s a lot easier than digging out the phone and authenticating each purchase with the fingerprint Touch ID sensor, I’m told. And, by pairing the Apple Watch with an older iPhone model (including the 5, 5C and 5S), consumers who haven’t upgraded to the iPhone 6 or 6Plus also can use Apple Pay. Apps will make the difference for the Apple Watch. Among the anecdotal reviews I’ve heard from my Apple Watch-owning friends, each person seems to have a different set of preferences for the watch, which makes it hard to generalize about its appeal. Dozens of Apple Watch apps are available now, and more are on the way. Google Inc. this week released its first app for the Apple Watch, Google News & Weather. Apple insiders expect to hear about thousands more apps in development at next month’s Apple Worldwide Developers Conference. Even the iPad didn’t become a mad success overnight, and few of us realized how it would transform online shopping, among other activities powered by the fruitful universe of third-party app developers. Time will tell whether the Apple Watch becomes a must-have accessory for everyone, but I’m pretty sure that hour will arrive for me sooner rather than later. For more on wearables, including Apple Watch, stay tuned for the Spring issue of Pay Magazine, out this month. Kate Fitzgerald covers emerging payments at Paybefore. She can be reached at kfitzgerald@paybefore.com. Having achieved status as a “mainstream” financial services product, prepaid cards now must prove themselves indispensable to cardholders’ lives. To take prepaid to the next level, prepaid providers need to connect with and engage cardholders in ways that position the product as vital to their financial wellbeing.